Looking for a great time in Canada this fall? Here are some awesome autumn activities in Canada this year that should be on everyone's’ list. Explore everything from T-Rexes in their prehistoric backdrop and hockey players that look real enough to touch to the deep ocean seas with sharks that would put Jaws to shame. 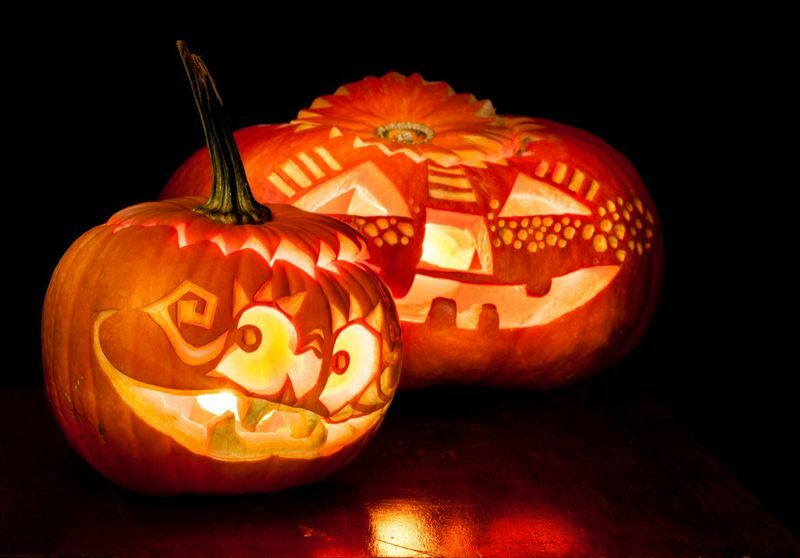 This pumpkin art display happens around September to late October in Morrisburg, Ontario. Not only is this a great chance to wander out with the family, the event is also pretty cheap at CAD$8 a person and all children under five get in free! Goldstream Provincial Park is next up on our list of fun places to visit this fall. Why you ask? 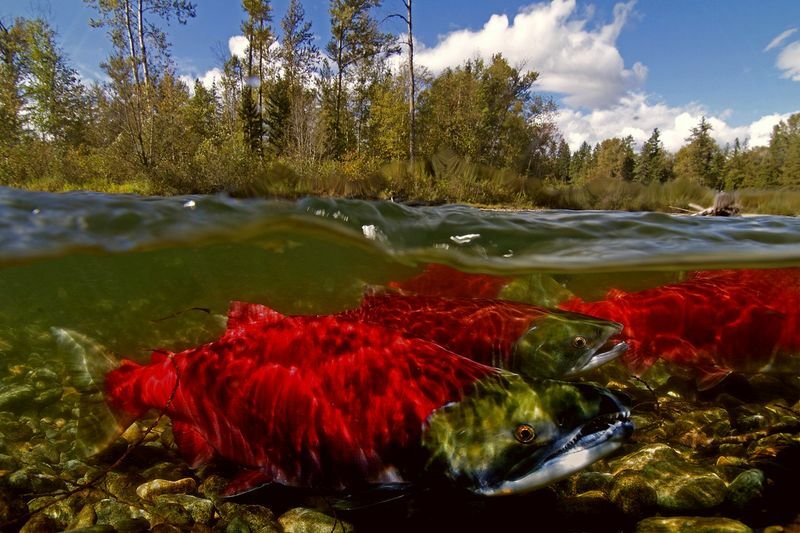 Because it is salmon spawning season! In October, thousands of Chinook, Chum and Coho salmon make their way up the goldstream. Watch from observation platforms as Bald Eagles dive and swoop on the unsuspecting salmon. Not only is this a real treat to watch, but it also attracts many local bears looking to catch these slippery fish. Watch these giant bears splash and wallow in the river water as they catch fish right out of the air! Mother nature at her finest. You can also visit the Capilano River Hatchery in Vancouver, which helps to protect and breed local salmon. The Capilano River Hatchery has over 255,000 visitors each year. After your visit, you can explore the Capilano Suspension Bridge which is just a few minutes down the road. Wander over the local forest for some breathtaking views of the natural sceneries 70m above ground! Though it’s strictly not in the fall, the Niagara Winter light festival is something to behold. During this time, over 8km of the surrounding land is bathed in glorious light displays that will surely dazzle and dizzy you. This breathtaking display starts from early November all the way to January and is a definite must for your itinerary. The best thing is admission is completely free! 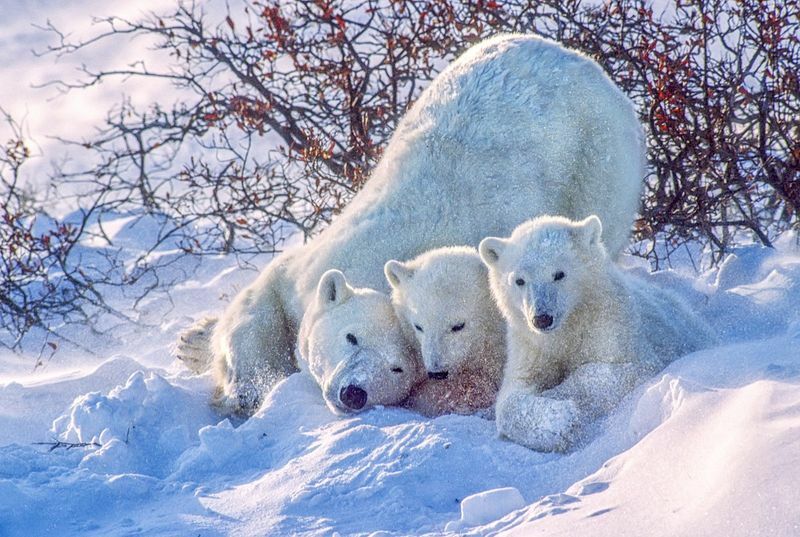 Known as giant dogs to some and ursulus to the Greeks, Polar bears should definitely be on your list. These arctic giants are on the move in Churchill Manitoba, making it one of the best places to spot them during the autumn months of Canada. Because residents know it’s polar bear season, they leave their cars unlocked just in case you need to make a quick escape from an overly curious bear. There are also tours on offer in giant snow trucks that let you sit 2.5 meters high to properly enjoy the Manitoba wilds. Experience the local life of Churchill on a guided tour that will show you arctic foxes, golden eagles and many more animals who prowl on the arctic tundra. 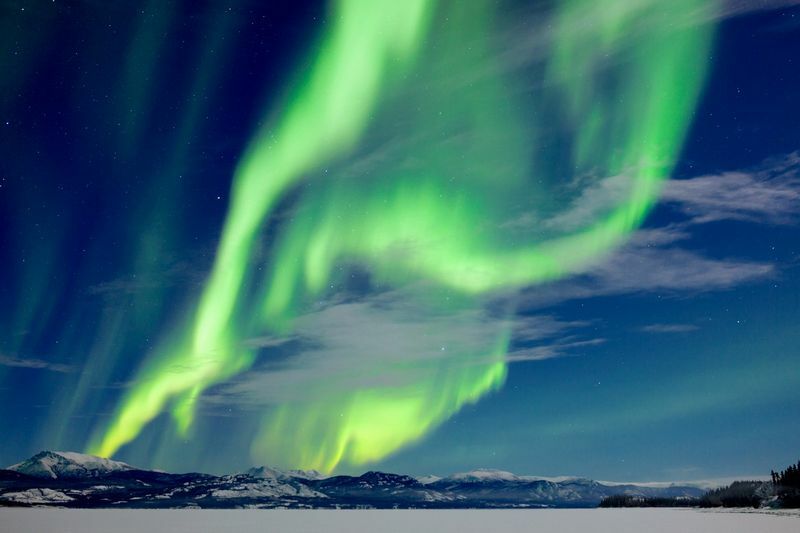 It may be corny, but we believe there is nothing quite like watching the dancing northern lights. Some of the best places to view them in Canada during the autumn months are in Yukon in Whitehorse and Yellowknife in the Northwest Territories. If you feel up for a adventure, you can even go dog sledding. Learn how to steer a sled with your team of furry friends on your next visit. Even if you are not a dog lover, you can still have a great time. If you want to feel the wind through your hair, then we would suggest snowmobiles. You heard us right. Snowmobiles. Speed over the snowy landscape to really get a feel for the natural landscape of Canada! To end off the day, you can spend the night in nature surrounded by a toasty fire while the Northern lights dance up overhead. Just remember to pack a parka for your stay to keep that chilly autumn air at bay! 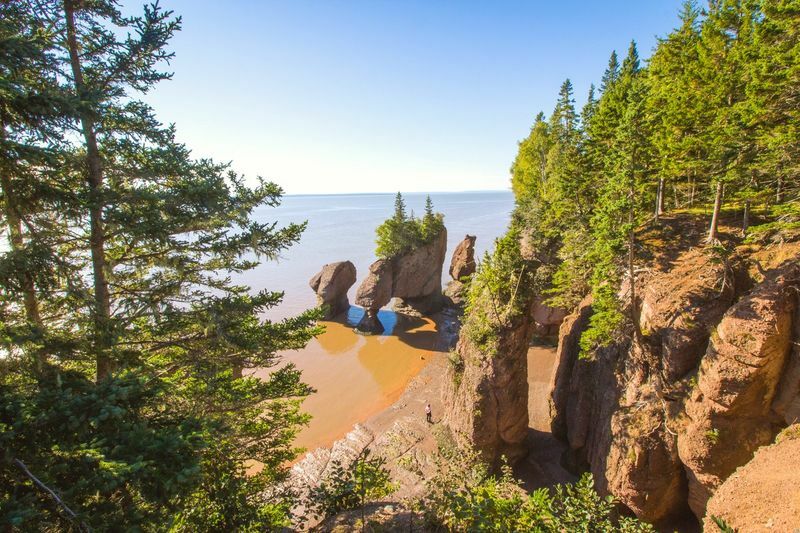 Take a drive down the coast along the Fundy National Park and visit the place with one of the highest tides in the world reaching over 16 meters. Not to mention Fundy has a vast collection of dinosaur fossils, secret caves and rock formations from the Triassic periods worth visiting. Drop by the Joggins Fossil Cliffs and explore this rocky outcrop that is drenched in 300 million years of history. You can also kayak along the coastline or really go on an ocean adventure with the Horseshoe paddle cove. For the more adventurous, why not take a tour of the Chinecto shore that lets you enjoy seal watching, cave exploration and gourmet meals? Did we forget to mention that you can go whale watching in the Bay of Fundy? Watch these majestic mammals make their way along the coast, or if you want to get up close, charter a boat tour! Are you looking to soak away your troubles? 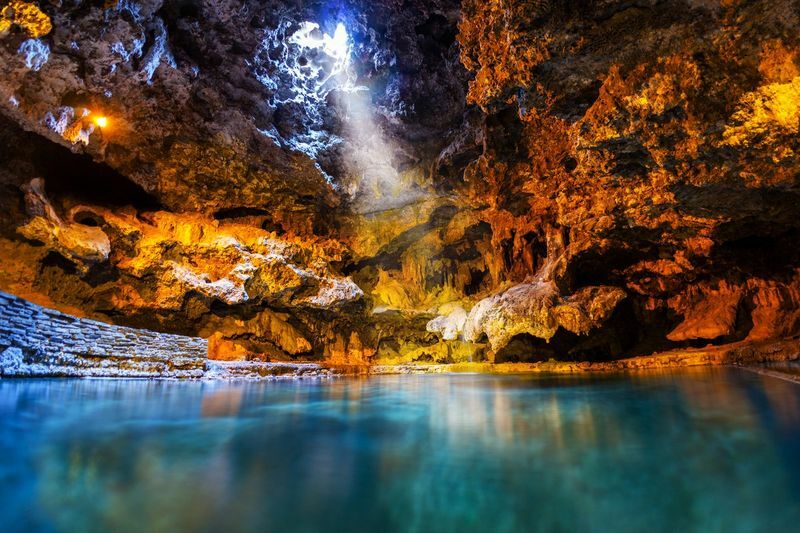 Now you can at the natural hot springs in Banff, Alberta. Not only is this a welcomed treat, but it is highly therapeutic and relaxing. A great way to warm up on a cold autumn day. Admire the view as you sit 5,200 feet above the ground in the Banff Upper Hot Springs and take in the breathtaking landscape of Rundle mountain. Feeling peckish? No worries! When you're not soaking away your troubles you can visit the local cafe, have an ice cream to help cool down or savour a picnic on the deck overlooking sulphur mountain. The area also has a hot spring called Radium Hot Spring that you can visit, which is open during those cold autumn months. Located in the Kootenay National park, British Columbia, the Radium Hot Springs is a great place to visit with friends or family. The toasty waters are kept at a lovely 37 degrees celcius to help keep that autumn chill at bay. Drop by the Quebec town of Mont Tremblant. Why is this a perfect place to visit in autumn? Let us tell you. You can zip line down four kilometers of trails over the autumn forests of Tremblant to give you an adrenaline filled sight of the world from a bird’s-eye view. Speaking of birds, the town also hosts a Birds of Prey show in the early months of September, where you can get close and personal with these majestic predators. 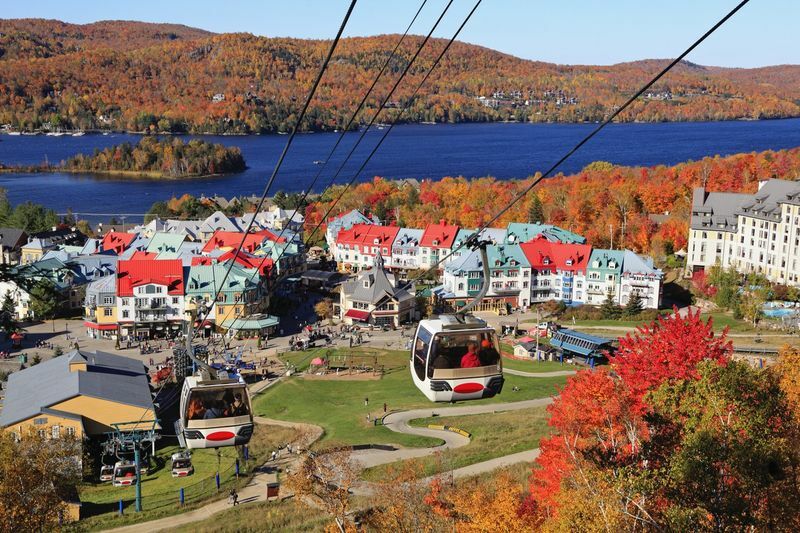 If you are the outgoing type with lots of energy to burn, you can hike up one of the multiple trails to the summit of Mont Tremblant or if you feel like taking the easy way out, you can ride the gondola which will give you a unique view of Laurentians without the hassle. Hit the green and tee off at the local golf course! Children can also have fun as they play for free after 4pm! Are you a night owl, then why not take the Tonga Lumina tour? Explore the legend of the Tremblant giant who apparently makes his home in the leafy forests of the town. Travel through the illuminated forests as you uncover the secrets of the giant’s myth. Dive into another world with Tonga Lumina. A tourist visa is one of the easiest ways to visit Canada and lets you stay in the country for up to six months! You can even extend your stay for another six months, giving you the time to explore this wonderful nation. 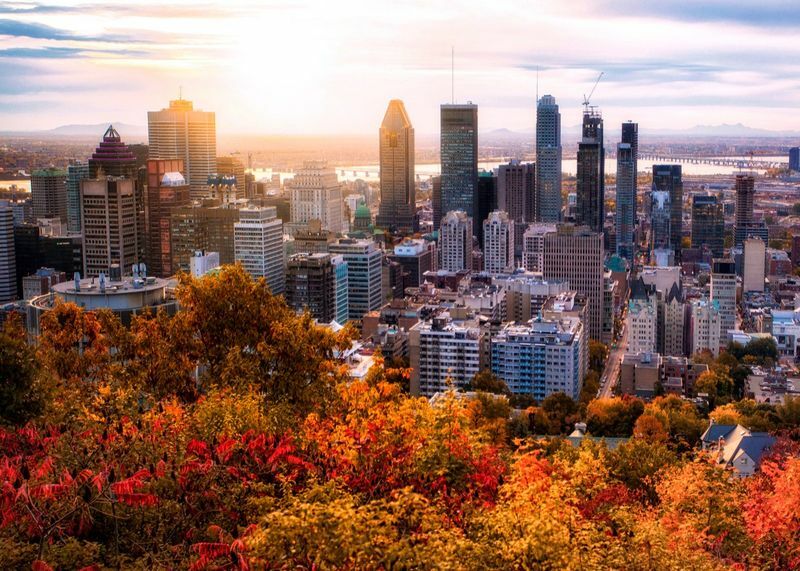 Explore all the fascinating autumn activities in Canada and apply for your Tourist Visa right here!